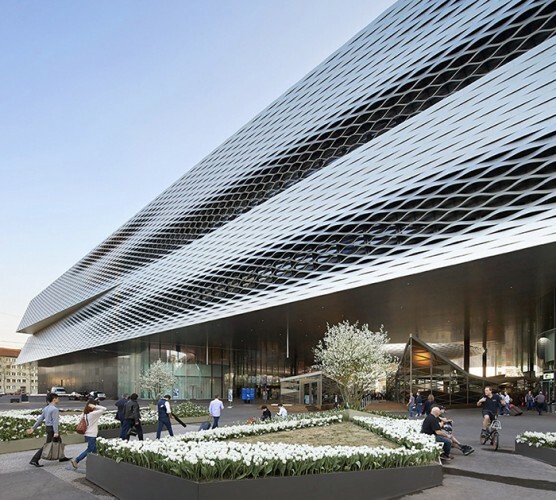 Messe Basel’s breathtaking new Event Hall, designed by internationally-renowned architects Herzog & de Meuron, features versatile and natural lighting provided by SGM’s high brightness P-5 and P-5TW LED washlights. These were specified by installers, Winkler Multi Media Events (a subsidiary of MCH Messe Schweiz AG). 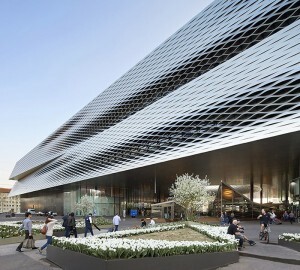 Winkler won the contract on the strength of their creative proposal for maximising the pillar-free space. 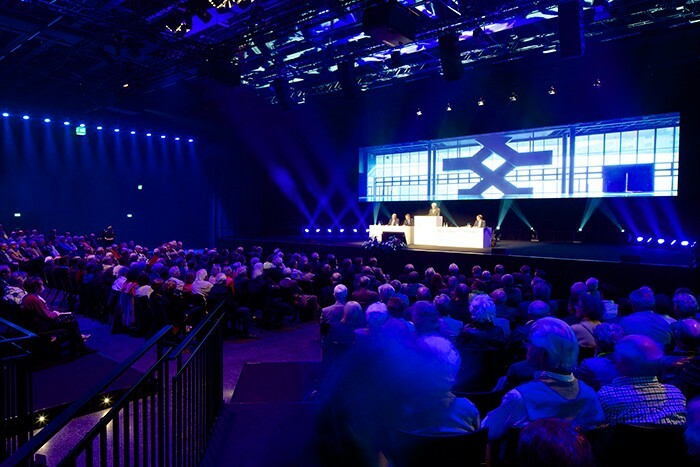 They undertook the complete rigging installation with truss, chain hoist, cabling, hoist control — and the ground lighting, using 35 of the P-5 RGBW fixtures and 30 P-5 TW (tunable white) fixtures. Although another brand had previously been specified, after comparing the fixtures Winkler reverted to the P-5. Said Winkler technical manager and light designer, Roni Huber, who masterminded the project. “The P-5 is brighter and the design is nicer because it’s much smaller. We really loved its sleek and straightforward design — its weight was half that of the competitor and the low power consumption, brightness and even light distribution were all important factors. “The possibility of having a tuneable white version also impacted the decision making,” he confirmed. “Since the hall is only equipped with fluorescent tubes and the P-5’s the TW was particularly important.” This architectural fixture combines the unique features of adjustable colour temperature, precise colour control and superior light quality. Roni Huber said another advantage of the P-5 series was that the product is distributed by ASL with whom Winkler has collaborated closely over a long period. Since they are the base lighting for the entire space, the SGM LED lights will now be used on most events taking place in the Event Hall.